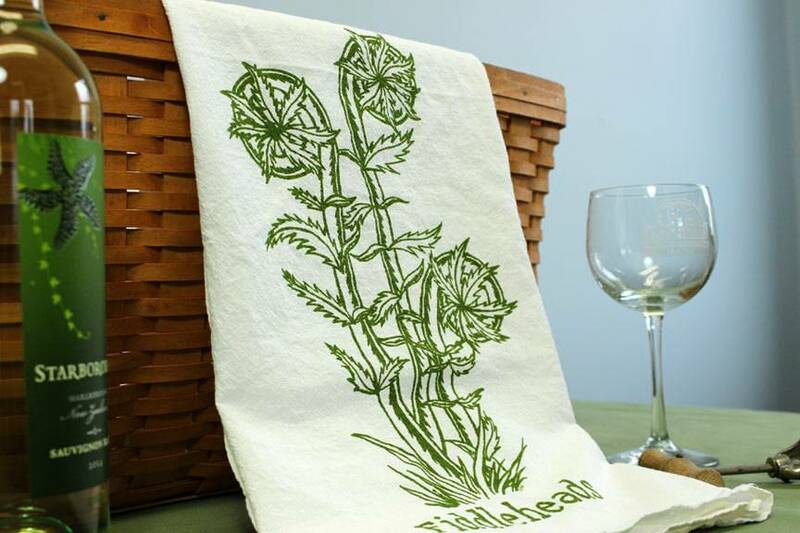 This deluxe 100% natural cotton flour sack towel features a hand screen printed image of “Fiddleheads” from the coast of Maine. 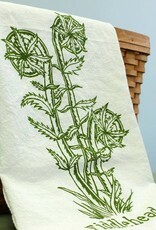 This flour sack towel features my “Fiddleheads”. This is one of the many signs New Englanders look for signaling spring is officially here and summer’s on its way. A “fiddlehead”, for those of you who have no idea what I am referring too, is a unfurled baby ostrich fern when soaked, and lightly cooked they are amazing. sadly, the time to enjoy fiddleheads, only lasts a few short weeks in Maine. These also make the perfect, inexpensive holiday gift. Give a unique gift for birthdays, teacher gifts, thank you’s or housewarming gifts. Line your bread basket with them or wrap a bottle of wine to take as a hostess gift.